Healthy smile is a getaway to the overall health. You should not ignore it as it can significantly affect the body and has a great impact on our relations and communication with others. Smile is one of the first things people notice about us. Unfortunately, healthy smile is not something that can be achieved overnight. It takes time, and many different methods. Here are some easy ways to improve the health and appearance of your teeth. Flossing is a very important part of our daily teeth maintenance. It helps to remove plaque between teeth and under the gumlines, spots that are not reachable with a toothbrush. It also helps to prevent tooth decays. If you ignore it, the plague und food-leftovers can cause periodontal diseased and can lead even to a tooth loss. This is the truth as old as the hills. Surly everyone knows that, but does everyone do it? Unfortunately, the answer is negative, and some people have to be reminded how important is to brush your teeth daily, minimum twice a day. Frequent brushing helps teeth to stay whiter and healthier. But, it is also important to know how to do it. If you want to do it right, you should brush your teeth for about 2 min. Most of the people complete it in less than one minute! There are many teeth whitening on the market: gel pens, stripes, rinses, laser whitening, toothpastes custom trays and many more. It can be overwhelming. But, try to select one that answers your needs. For example, gel pens are a good choice for touching hardly reachable areas. Whitening toothpastes would be a good option if you drink coffee and tee very often. 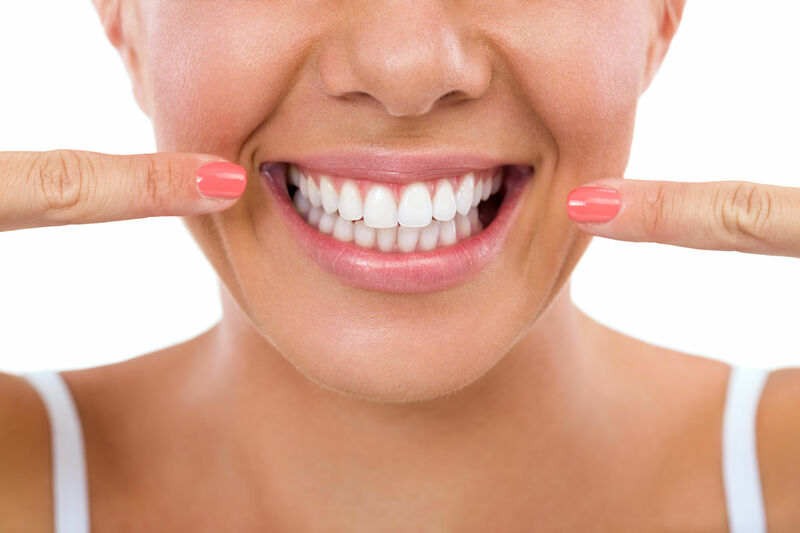 Laser whitening and custom trays are providing professional whitening and brings the most visible results. We all know how water is important to keep our body healthy. But, it is as well the healthiest drink for our teeth. Consumption of sugary drinks can cause decays. To prevent it, it is important to keep it in balance by drinking enough amount of water every day. The best choice would be here tap water as it contains recommended dosage of fluoride. Many bottled waters come from the sources that contain no fluoride at all. We can be very good at daily teeth care, have white and healthy teeth but still be unhappy with our smile. Why? Because perfect smile means, health, white and straight smile. Good practice and daily habits can help us to achieve the first two. Unfortunately, we don’t have an impact on how teeth´s movement. At least not with preventing methods mentioned above. But there are some easy ways to achieve straight smile. What options do we have? The most known tooth correction method is metal brace. However, still many people don’t want to try this method. Mainly because of expensive treatment and many visits at orthodontist. In addition, metal brace cause discomfort and lower self-confidence among adults. If you can´t imagine yourself in metal brace, good option would be transparent aligners. What is it and what results it brings? Transparent aligners are innovative and simple method of teeth correction. The treatment is much faster (appox. 6 months) and cheaper than traditional metal brace. Firstly, you order a impression kit and make teeth imprint yourself. Later, group of specialists prepare 3D simulation that shows expected teeth movement and final results. If the results are beyond your expectations, you can freely cancel the treatment without any further charge. As soon as you convinced to continue the treatment, the check-up visit is arranged, the perfectly fitting aligners are produced and shipped to you. After receiving your transparent aligners, you start the treatment and it is expected to be completed in six months. After this time your beautiful smile remains. It is definitely an alternative worth considering. The costs of the treatment are much lower, the aligners are almost invisible and cause no discomfort. What is even more important you save up your time -visits at orthopaedist you can replace with visits at the fitness studio. It may take some time before you start noticing some changes, but good habits and improved oral hygiene makes it possible to achieve beautiful smile and overall health.